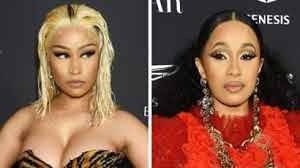 The feud between Cardi B and Nicki Minaj came to blows at a New York Fashion Week party on Friday evening. 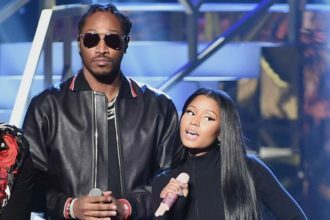 The scuffle began after rapper Cardi approached Nicki Minaj over lies Nicki was said to be spreading. Cardi was allegedly elbowed in the face by a security guard, before throwing a red-heeled shoe at Minaj, who appeared unscathed from the incident. After Cardi was escorted out barefoot with a bump above her eye, both stars took to social media after the clash. Eye witnesses told US media the altercation took place on the first floor balcony of the Harper’s Bazaar ICONS party, during a performance by Christina Aguilera. Cardi, who was wearing a red Dolce & Gabbana gown, is seen in a video on social media lunging forward after reality TV star Rah Ali, a friend of Minaj, stepped in between the two rappers. Minaj, who recently released her fourth album Queen, later shared pictures of herself posing in a leopard print ball gown. Cardi, however, addressed the incident with her rap rival in a statement on Instagram. Cardi did not mention Minaj by name but said, “I let you sneak diss me, I let you lie on me, I let you attempt to stop my bags”. She also accused 34-year-old Minaj of threatening other artists in the industry, allegedly telling them if they worked with Cardi, she would sever ties with them. “I addressed you once in person, I addressed you a second time in person, and every time you copped a plea!! But when you mention my child, you choose to like comments about me as a mother, make comments about my abilities to take care of my daughter all bets are off”. She ended her note by saying she had worked too hard and come too far to let anybody mess with her success. 25 year old Cardi B, whose real name is Belcalis Almanzar, gave birth to her first child Kulture in July.